Not too long ago we reviewed a few SSD drives and we mentioned that Kingston was going to get a chance to save face since they were the only ones to provide an Asynchronous NAND drive. Today we’re going to cover the Kingston 240GB HyperX 3K SSD from Kingston. This drive uses Synchronous NAND. The box boasts speeds of 555 MB/s read and 510 MB/s write. Does the drive deliver? Read on! -Guaranteed — three-year warranty (KC100 features a five-year warranty), free technical support and legendary Kingston reliability. Kingston offers free tech support for the drive. 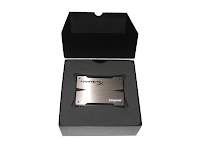 They also provide a 3 year warranty for the HyperX 240GB 3K SSD. contents.Yes, that is a HyperX blue screwdriver you see. We’ve seen HD enclosures before with Kingston’s drives so that’s no surprise; however, the screwdriver is definitely new and a nice touch too. It’s a simple thing to include but I’ve used it several times already. The HD enclosure also has a nice brushed metal look to it. 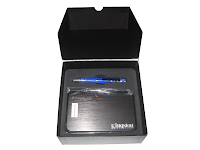 The box also comes with a mounting bracket, a pair of SSD cables, a CD and a USB cable for the HD enclosure. That’s an impressive lineup of contents for an SSD drive. Underneath the SSD casing we can see that Kingston is using the same SF-2281 SandForce controller we saw from our previous Kingston SSDNOW V+200 drive and also from our OCZ Vertex 3 drive. One thing to keep in mind is that this SandForce controller does not handle incompressible data as well as compressible data. If you’re working constantly with incompressible data (files that have already been compressed: jpg, h264, rar, zip, 7z, etc.) then you might notice a performance hit. However, for everyday use the SandForce controller used in these drives delivers. 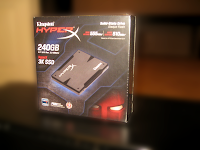 This Kingston 240GB HyperX 3K SSD is a lower cost drive which uses 3K memory chips. The 3K is an idea of how many times you should be able to write the full capacity of the memory chip. This is a 240 GB drive which means I would have to roughly write 240 GBs of data to the drive 3,000 times before it would potentially die. For anyone concerned about this number lets break it down a little more. You’re looking at about 720 terabytes worth of data. If an average user writes let's say 960 GBs of data to the drive each month (yeah that’s probably far beyond what an average user would do but stick with me on this) that’s 4 full writes each month. At the end of a year we’re only at 48 full writes. You’re looking at about 62.5 years before you would hit the 3,000 full writes at this pace. Now let’s say you’re writing about 5760 GBs of data to the drive each month. That’s about 185 GB a day, 24 full writes a month and 288 full writes a year. You would still be able to get a little over 10 years out of it before you would hit the 3,000 full writes. 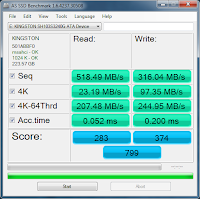 We’ll use the same set of applications as before to benchmark the 240GB HyperX 3K SSD: CrystalDiskMark, AS SSD Benchmark and ATTO Disk Benchmark. If you look back to our review with the Corsair Force GT drive you’ll see it has similar numbers. This HyperX drive is slightly slower in the sequential read and 4K read than the Corsair drive, but it outperforms the Corsair Force GT drive in all other tests with AS SSD. Across the board the HyperX drive outperforms in write tests. The access times for the drive are also quite impressive. We have similar results with the CrystalDiskMark software. 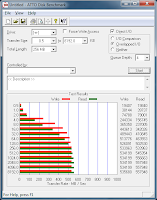 Some of the write tests are slightly slower than the Corsair drive, but all of the writes are faster. The box for the Kingston 240GB HyperX 3K SSD says that this drive should perform at 555 MB/s read and 510 MB/s write according to ATTO. We’re happy to say that our HyperX drive was able to slightly outperform these numbers on the box. Some might consider the 3K series risky, but from our vantage point you get all the speed, less cost and an admirable life expectancy with no more real world risk than what other SSD drives might face. 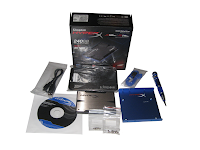 The Kingston 240GB HyperX 3K SSD retails currently for about $289.99. 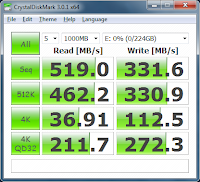 The synchronous NAND packs a powerful punch giving us all the speed we crave from our SSDs. If you’re in the market for a new SSD the Kingston 240GB HyperX 3K SSD is definitely one to add to the shopping cart. You just gotta love it's performance. Based on it's design, features, quality, and performance, the Kingston HyperX 3K SSD drive has earned our Editor's Choice Award. For more info and complete specs, check out their website at www.kingston.com.